2006 Economic Systems Research 16(2): 572-583. Increased spatial dependency of economic activities, as well as spatial differentiation of production and consumption, has implications for environmental policy. One of the issues that has gained importance is the responsibility for the emissions from products that cross national boundaries during the environmental policy’s lifetime. This paper discusses the different ethical views of environmental responsibility. Furthermore, the policy measures that are associated with the different viewpoints are analyzed in a novel dynamic two-country two-sector dynamic input–output model. A numerical example is modeled to assess taxing schemes that are based on these ethical viewpoints. The results show that a tax on the ‘embodied’ environmental pressure, which is generally viewed as ethically preferable, is less effective that the current policy of taxing consumers of products. Our discussion however shows that these results are very dependent on the model structure and initial parameters that are used. Nevertheless, the model illustrates that policies that are based on ethically superior standpoints may have detrimental distortionary effects in the dynamic setting. Keywords: Dynamic input–output model, international trade, technological change, environmental responsibility. 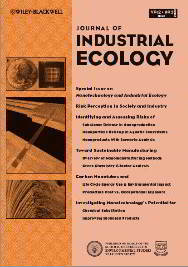 2004 Ecology and Society 9(1): 6. 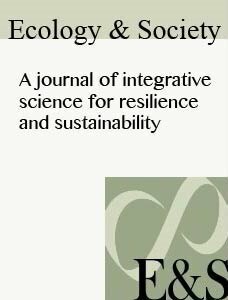 What makes social-ecological systems (SESs) robust? In this paper, we look at the institutional configurations that affect the interactions among resources, resource users, public infrastructure providers, and public infrastructures. We propose a framework that helps identify potential vulnerabilities of SESs to disturbances. All the links between components of this framework can fail and thereby reduce the robustness of the system. We posit that the link between resource users and public infrastructure providers is a key variable affecting the robustness of SESs that has frequently been ignored in the past. We illustrate the problems caused by a disruption in this link. We then briefly describe the design principles originally developed for robust common-pool resource institutions, because they appear to be a good starting point for the development of design principles for more general SESs and do include the link between resource users and public infrastructure providers. 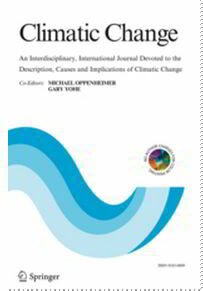 Keywords: institutions, resilience, robustness, social-ecological systems. 2004 Annals of Regional Science 38(1): 93-112. Most important environmental problems can be related to materials flows through the economy. Regional and national economies use materials that are either extracted domestically or imported from other regions. Therefore, an analysis of optimal patterns of combined economic development and materials use requires that both trade and environmental aspects are taken into account. A model is presented here that optimises long-term welfare for two regions that trade in virgin and recycled materials as well as consumer goods. The regions differ in one respect, namely with regard to domestic availability of a material resource. Analysis of the model shows, among other things, that the relationship between production and virgin material use can follow an Environmental Kuznets curves or an N-shaped curve. The latter points at “re-linking” of income growth and material resource use. Although trade of material resources and goods increases the carrying capacity of both regions, and in turn their levels of welfare, it can not prevent the re-linking phenomenon. 2003 Ecological Economics 44(1): 43-62. The Leuser Ecosystem in Northern Sumatra is officially protected by its status as an Indonesian national park. Nevertheless, it remains under severe threat of deforestation. Rainforest destruction has already caused a decline in ecological functions and services. Besides, it is affecting numerous economic activities in and around the Leuser National Park. The objectives of this study are twofold: firstly, to determine the total economic value (TEV) of the Leuser Ecosystem through a systems dynamic model. And secondly, to evaluate the economic consequences of deforestation versus conservation, disaggregating the economic value for the main stakeholders and regions involved. Using a dynamic simulation model, economic valuation is applied to evaluate the TEV of the Leuser National Park over the period 2000–2030. Three scenarios are considered: ‘conservation’, ‘deforestation’ and, ‘selective use’. The results are presented in terms of (1) the type of benefits, (2) the allocation of these benefits among stakeholders, and (3) the regional distribution of benefits. The economic benefits considered include: water supply, fisheries, flood and drought prevention, agriculture and plantations, hydro-electricity, tourism, biodiversity, carbon sequestration, fire prevention, non-timber forest products, and timber. The stakeholders include: local community members, the local government, the logging and plantation industry, the national government, and the international community. The regions considered cover the 11 districts involved in the management of the Leuser Ecosystem. With a 4% discount rate, the accumulated TEV for the ecosystem over the 30-year period is: US $7.0 billion under the ‘deforestation scenario’, US $9.5 billion under the ‘conservation scenario’ and US $9.1 billion under the ‘selective utilisation scenario’. The main contributors in the conservation and selective use scenarios are water supply, flood prevention, tourism and agriculture. Timber revenues play an important role in the deforestation scenario. Compared to deforestation, conservation of the Leuser Ecosystem benefits all categories of stakeholders, except for the elite logging and plantation industry. 2002 Asean Biodiversity 2(2): 17-20. 2001 Resources, Conservation and Recycling 33(4): 235-265. Truck tyres can cause significant environmental pressure through the life cycle. The main aim of this paper is investigate to what extent international policy measures on foreign trade, international recycling and harmonisation of legislation can contribute in effectively reducing environmental pressure caused in the truck tyre life cycle. 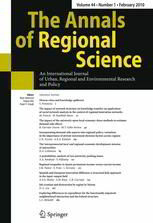 A two-region simulation model, representing Western and Eastern Europe, is developed that integrates the complete life cycle, incorporates environmental impacts in its economic analysis, is technically dynamic by accounting for learning-by-doing effects, and allows for variations in trade of new and old truck tyres. In this study the economic, environmental and social effectiveness of harmonisation and trade measures in the European life cycle for truck tyre is tested. Several conclusions can be drawn from the model simulations. First, the environmental effects caused by the trade of used tyres from Western to Eastern Europe are of limited impact on the overall environmental damage caused by truck tyres. The consumption stage is by far the main contributor to environmental damage. Within the marginal analysis of trade, harmonisation of disposal fees illustrated to generate very limited positive results. The private and external costs in the solid waste management (SWM) stage are too limited to have a notable impact on the overall configuration of the European tyre life cycle. The introduction of strict laws on tread depth in Eastern Europe has a much stronger impact on material flows than the harmonisation scenario. This suggests that domestic policy measures should be the primarily focus on interventions in this stage of the life cycle, for instance, by improving the management of tyre pressure. Because trade of used tyres has little impact on the consumption stage, this issue should not get priority in European environmental programs. 2000 Journal of Industrial Ecology 4(2): 93-115. By evaluating tires from a perspective of industrial metabolism, potential novel and practical ways to reduce their environmental impact can be found. This may be achieved by focusing on technological issues such as choosing materials, designing products, and recovering materials, or by looking at institutional and social barriers and incentives such as opening waste markets or changing consumer behavior. A model is presented for the life cycle of truck tires in Western Europe that is dynamic in nature and values both environmental and economic consequences. Various scenarios are simulated including longer tire lifetimes, better maintenance of tire pressure, increased use of less-expensive Asian tires, and increased use of fuel efficiency-enhancing tires (“eco-tires”). Tentative results indicate that, among other things, more than 95% of the overall environmental impact during the life of a tire occurs during the use of the tire, due to the impact of tires on automotive fuel efficiency. Better maintenance of tire pressure and use of eco-tires produce greater environmental and economics benefits than more-durable and/or less-expensive (Asian) tires. These results imply that the emphasis in environmental policies related to tires should shift from the production and the waste stages to the consumption stage. It also suggests that the focus on materials throughput and associated improvements through factor 4 or factor 10 advances in reduction in mass are less important than the quality of the tires and their management. 2000 Climatic Change 46 (1/2): 1-28. In this paper, we present results of simulationexperiments with the TIME-model on the issue ofmitigation strategies with regard to greenhouse gases.The TIME-model is an integrated system dynamics worldenergy model that takes into account the fact that the systemhas an inbuilt inertia and endogenouslearning-by-doing dynamics, besides the more commonelements of price-induced demand response and fuelsubstitution. First, we present four scenarios tohighlight the importance of assumptions on innovationsin energy technology in assessing the extent to whichCO2 emissions have to be reduced. The inertia ofthe energy system seems to make a rise ofCO2 emissions in the short term almostunavoidable. It is concluded that for the populationand economic growth assumptions of the IPCC IS92ascenario, only a combination of supply- anddemand-side oriented technological innovations incombination with policy measures can bring the targetof CO2-concentration stabilization at 550 ppmv bythe year 2100 within reach. This will probably beassociated with a temporary increase in the overallenergy expenditures in the world economy. Postponingthe policy measures will be more disadvantageous,and less innovation in energy technology will happen. 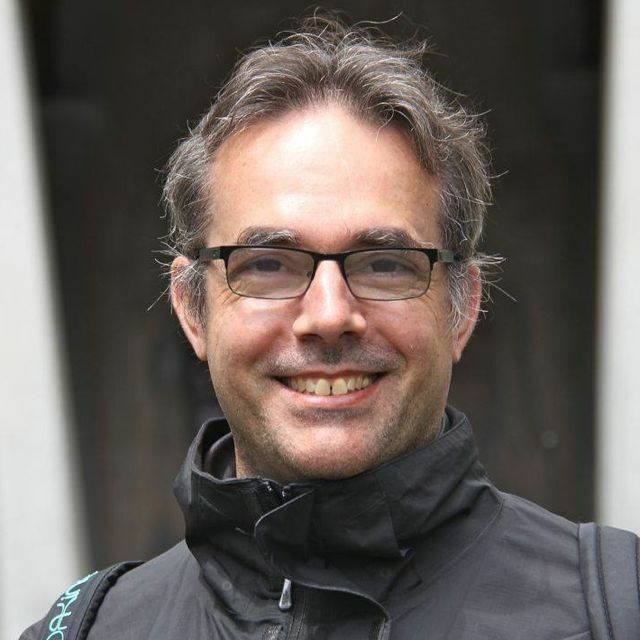 Workers at the Dutch National Institute of Public Health and the Environment (RIVM) have recently developed a new comput­ er tool called the Interactive Scenario Scanner (ISS). The tool enables users to interactively construct global greenhouse gas emission scenarios and evaluate their likely climate change impacts. In this way, the tool can be used to support a dialogue between scientists and policy makers on scenario development and help in selecting scenarios to be analysed with more sophisticated modelling tools, like RIVM’s IMAGE 2 model. 2002 In Encyclopedia of Global Environmental Change, edited by T. Munn, Vol. 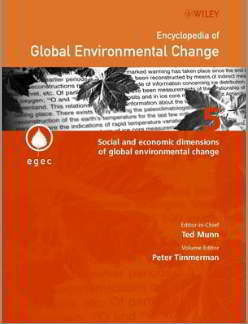 5: Social and economic dimensions of global environmental change, by P. Timmerman (ed. ), pp. 394-408, John Wiley and Sons Ltd, London, UK. 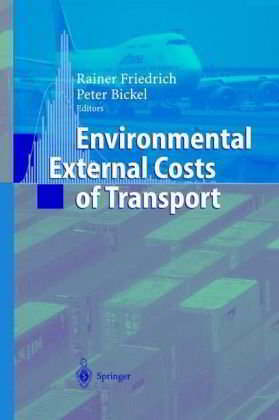 2001 In Environmental External Costs of Transport, edited by R. Friedrich and P. Bickel, pp. 274-277, Springer. 1997 In Perspectives on Global Change: The TARGETS Approach, edited by Rotmans, J. en H.J.M. de Vries, pp. 33-35, Cambridge University Press, Cambridge, UK.. When tackling a subject as complex as global change and sustainable development, it is essential to be able to frame the issuesThis was one of the main reasons for developing the TARGETS model, an integrated model of the global system, consisting of metamodels of important subsystems. In this chapter we introduce TARGETS. Building on the previous chapters, we elaborate on the possibilities and limitations of integrated assessment models. Some of the key issues discussed are aggregation, model calibration and validation, and dealing with uncertainty. 1997 In Perspectives on Global Change: The TARGETS Approach, edited by Rotmans, J. en H.J.M. de Vries, pp. 83-106, Cambridge University Press, Cambridge, UK.. This submodel simulates the supply and demand for fuels• and electricity, given a certain level of economic activity. It is linked to other submodels, for example through investment flows, population sizes and emissions. The energy model consists of five modules: Energy Demand, Electric Power Generation, and Solid, Liquid and Gaseous Fuel supply. Effects such as those of depletion, conservation, fuel substitution, technological innovation, and energy efficiency are incorporated in an integrated way, with prices as important signals. Renewable sources are included as a non-thermal electricity option and as commercial biofuels. 1997 In Perspectives on Global Change: The TARGETS Approach, edited by Rotmans, J. en H.J.M. de Vries, pp. 263-290, Cambridge University Press, Cambridge, UK. 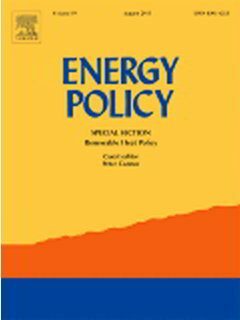 In this chapter we present simulation experiments and outcomes of the energy submodel TIME. First, the major controversies and uncertainties are discussed. Next, the cultural perspectives are introduced with reference to world energy, after which we clarify the way in which these are linked to assumptions and model routes. Some results of sensitivity and uncertainty analyses are also given. We discuss a few energy dystopias which could emerge if, for a given population-economy scenario, the world view and the management style within the energy system are discordant. Some conclusions are presented about the plausibility of and risks related to the Utopian energy futures. The impacts of the emissions from fossil fuel combustion on water, land, and element cycles are discussed in the next three chapters. 1997 In Perspectives on Global Change: The TARGETS Approach, edited by Rotmans, J. en H.J.M. de Vries, pp. 417-434, Cambridge University Press, Cambridge, UK.